I was walking through Arnos Vale’s Victorian cemetery recently, when a plea for help caught my eye. Apparently, rather than buying a plot, the Victorians’ preferred to rent theirs – I suppose they surmised that they would only need it for a generation or two at most. I immediately pictured countless wraiths being evicted for failing to pay their rent. What form might they take? Where could they go in search of refuge? Who might let them in? If you write or create something prompted by this, please send an email to Judy(at)socket creative.com to let me know. With your permission, I’ll publish it on SkyLightRain.com. 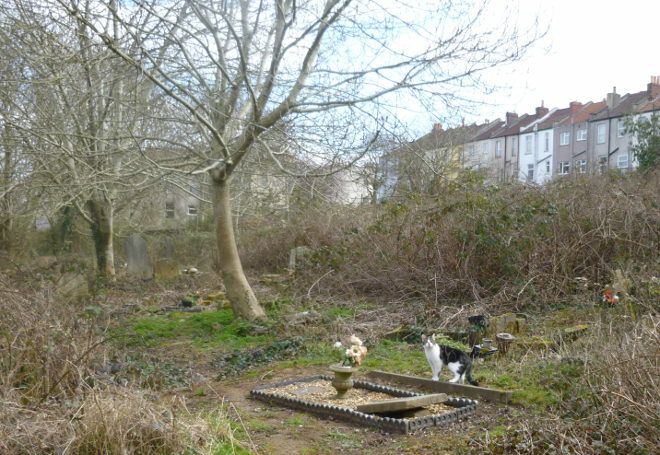 If you’d like to donate to Arnos Vale Cemetery, visit their website.